Convertible desks that allow you to sit or stand don't have a measurable impact on productivity, according to a pilot study of 30 call centre workers. The research chronicled the activity of 30 call centre workers over a 19-week period. Call centre workers are a fine subject for such research, as call centres often measure workers' activities in many dimensions. This made it possible to measure call handling time, time spent talking, time spent on hold and time spent wrapping up calls, metrics call centres love to harvest as the lower each number, the more calls a worker can handle each hour. A control group got to stay at their old desks and weren't nagged by email. Half of participants were tracked by an accelerometer, the other half by an inclinometer. Other data was recorded by self-reporting. The research has been published under a Creative Commons licence, so there lots of verbiage and tables to be found here. Long story short, by the end of the 19-week trial those with a sit-stand desk were standing about 90 minutes a day and feeling very good about themselves for doing so. “There were non-significant trends toward more positive work perceptions among the intervention group,” the study reports. 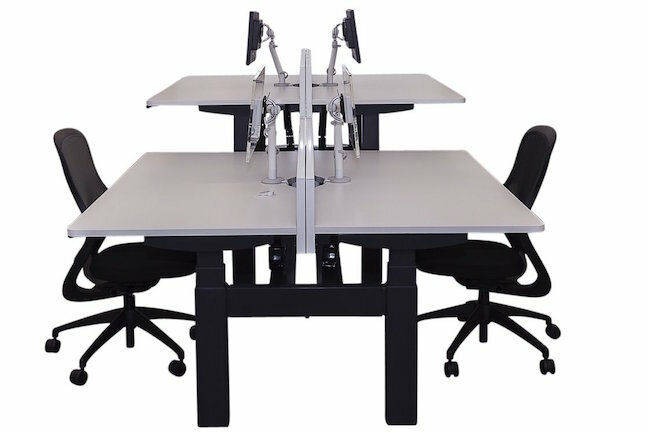 Those with sit-stand desks also reported feeling more energetic. Measurements of productivity, however, showed that standing at work didn't result in more effective workers.